Congratulations to our Client Cooper & Kid for their feature on CBS Minneapolis! 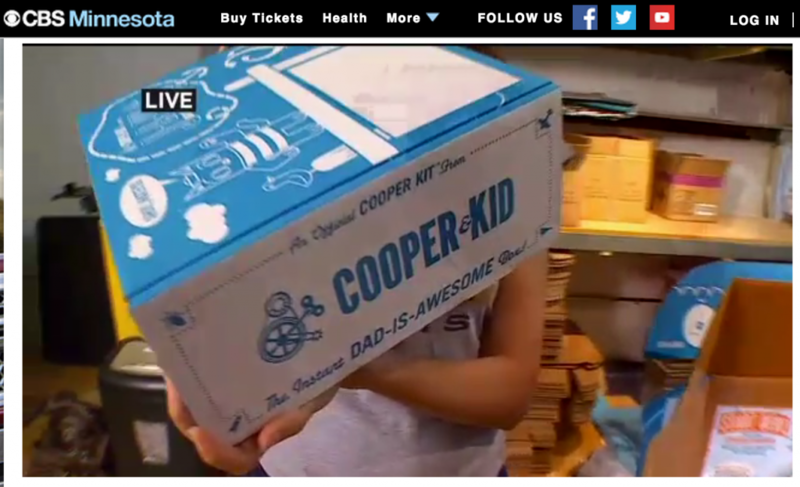 Cooper & Kid is a Minneapolis company that sells kits that are designed to help fathers and children spend more time together. Each Cooper Kit is designed around a theme and filled with enough activities to provide over six hours of quality time for dads and kids. Depending on the theme, items in the box range from bedtime stories to recipes to tools. Check them out at cooperandkid.com!